Many home care agencies rely on paper for their day-to-day operations: paper time sheets, paper files, paper announcements for all staff. Other home care agencies rely on a home care software or home care system to meet the needs of their business operations, with all documentation taking place electronically. For these agencies, the use of a home care software yields benefits that span outside of having all documentation take place electronically. In fact, what many agencies have found and are continuing to realize is that an efficient home care software or home care system ultimately benefits the seniors who they are caring for. Always paired with experienced caregivers: One of the great things about a home care system is the ability to match caregiver skills with client needs in seconds. This functionality assures that seniors are receiving assistance by a skilled caregiver who has the experience or licensure to work with them. Needs are always attended to: With a home care system, agencies are able to immediately communicate with caregivers to ensure that the senior’s needs are always being attended to. Agencies using a home care system do this by assigning tasks to caregivers through the electronic telephony system, where caregivers are able to listen to their tasks each day before their shift begins. This ultimately ensures that whatever tasks that need to be completed that day—whether it is a medication reminder or a trip to the doctor’s office—are communicated and reminded to the caregiver to provide the necessary care for the senior. Caregivers are all in the same loop to assist the client: With a home care system or home care software, all caregivers are able to stay connected to the senior’s care needs and care goals online. With access to this information online, caregivers have a full understanding of the needs of the client and are empowered to provide care in a way that helps the senior achieve their goals of, for example, eating healthier or becoming more active. 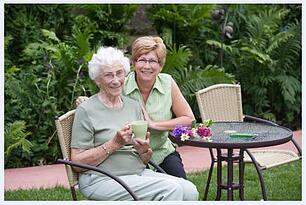 The best home care agencies strive to provide the best care at the greatest value for seniors. And with a home care software like ClearCare Online at their fingertips, such goals become easier to attain!